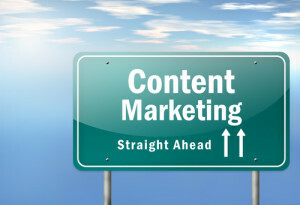 You are here: Home / Ask an Expert / How can I make my B2B content more successful? How can I make my B2B content more successful? Despite the fact that content marketing has become increasingly popular among B2B companies over the past year, only 44% have a documented content marketing strategy – according to a new report from the Content Marketing Institute. Without a documented strategy that describes business goals, a target audience and how to achieve those goals with content, many B2B marketers can get overwhelmed with options. A content plan that specifically identifies goals and a target audience can bring clarity and purpose to a content marketing program so that it attracts buyers looking for information, engages interested prospects seeking a solution and inspires inquiries that convert to sales. To be successful with content and B2B buyers, align your overall sales strategy with the objectives of your content marketing. What you’re hoping to help your prospective customers to do will guide what content topics you publish and when. Create Awareness: With an understanding of your target audience and how they prefer to discover, consume and interact with content, your content marketing plan can provide exactly what buyers are looking for. If your audience gets daily news from social networks like LinkedIn or Twitter, then publish useful content there daily to attract and engage buyers. Provide Facts for Research: All B2B buyers do research online prior to purchasing. To help cater to those prospective customers, post the kind of content that will help them make a decision. Buyer’s guides and white papers will provide all the information these searchers are looking for. Offer Competitor Comparisons: When there are hundreds of other companies that do what you do, customers will naturally begin to compare you to your competition. Try to appeal to these researchers by publishing comparison lists and charts that accentuate the compelling benefits of your product over the competition. In a head-to-head comparison, your product should be the obvious choice. Remember: Strategic, B2B content marketing plans based on business goals and buyer interests should also take into account how people find information online, whether it’s through search, social ads or industry publications. Want to get started on a successful B2B content marketing plan of your own? Contact TopRank Online Marketing today. Being a small healthcare compliance firm, I find B2B content marketing to be very doable, specifically, we can develop quite a bit of content on the subject, but sometimes it’s the strategy of where to post and deliver the content that can be a challenge. Point #2 on Product Facts is big for us, so it’s nice to see the confirmation from you, thanks.